A feathery motif creates a design theme that is light as a feather ! 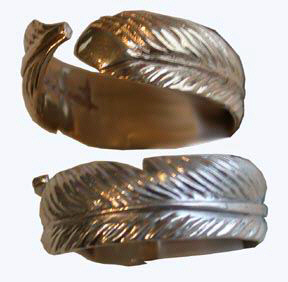 Bearclaw Native American Indian Jewelry creates Unique cast Chipewyan inspired silver and gold native rings including all feather types, head and body profiles and perspectives. 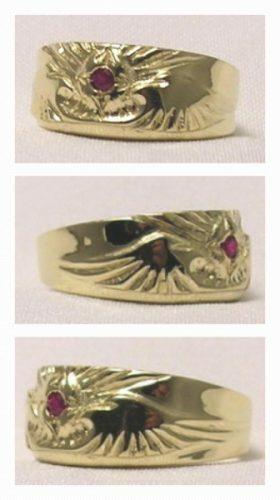 Cost for a cast ring vary with the market but will be from $500 to $900 and weigh from about 6 grams to 15 grams. 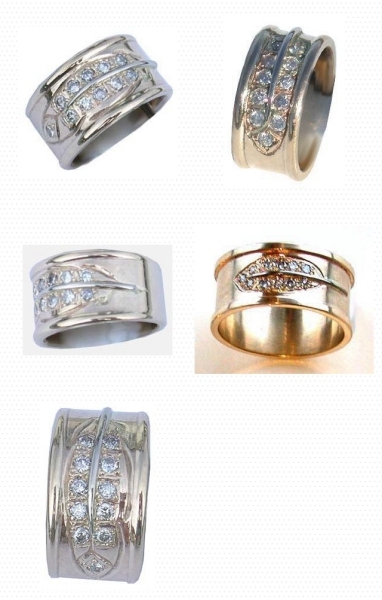 The gold type and carat, 10k ,14k and 18k are also factors in the total cost . Some stone costs are listed below. 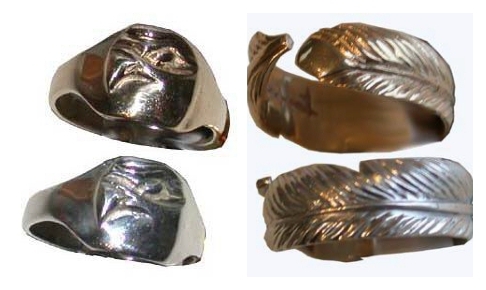 I have molds for these samples but it is always enjoyable to help design and then carve someone else’s vision. 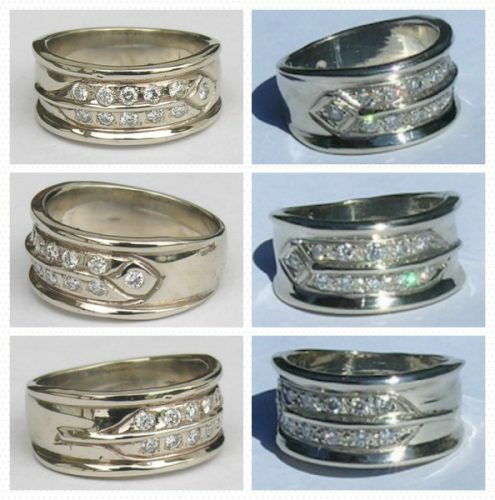 Custom cast rings are always considered. 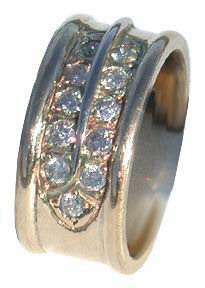 We use only VS1-2 and G/H color diamonds. These are small and bright little fellers that will add that special sparkle without taking over. 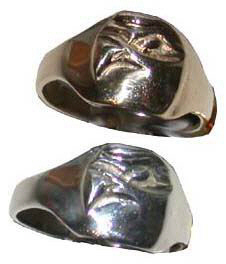 Bird or animal eyes need to be bright and the multi-gemmed rings need to shine big time. 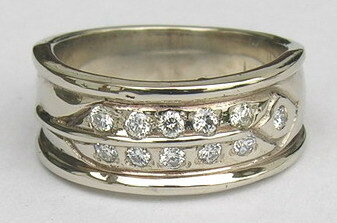 For me, a diamond that does it’s job , sparkle, is far more valuable than one that doesn’t do it’s job. 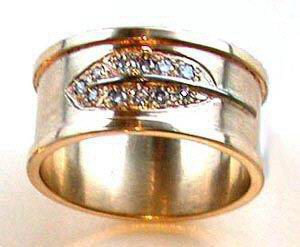 RCas8 – Straight edge ribs with white gold stem and 11- .03ct diamonds – No mold is available for this ring but I can make you an original version. 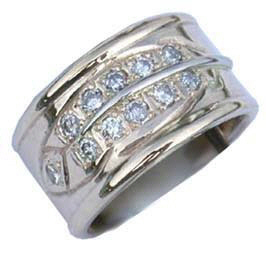 For an explanation on diamonds go here. 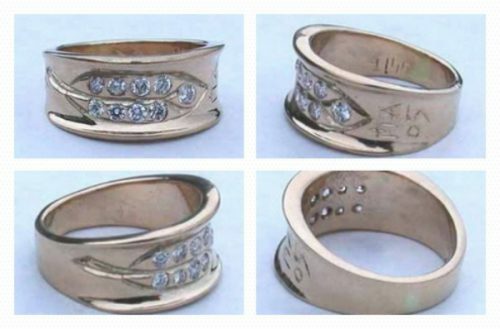 You can not combine metals in a single cast. Also, it is more time consuming but you can have an original model that many other item can be produced from.